To say that this weekend was busy would be a HUGE understatement. My sister-in-law graduated college (YAY!!! ), my mother-in-law is staying with us, it was Mother's Day, and we've been in celebration mode all weekend. 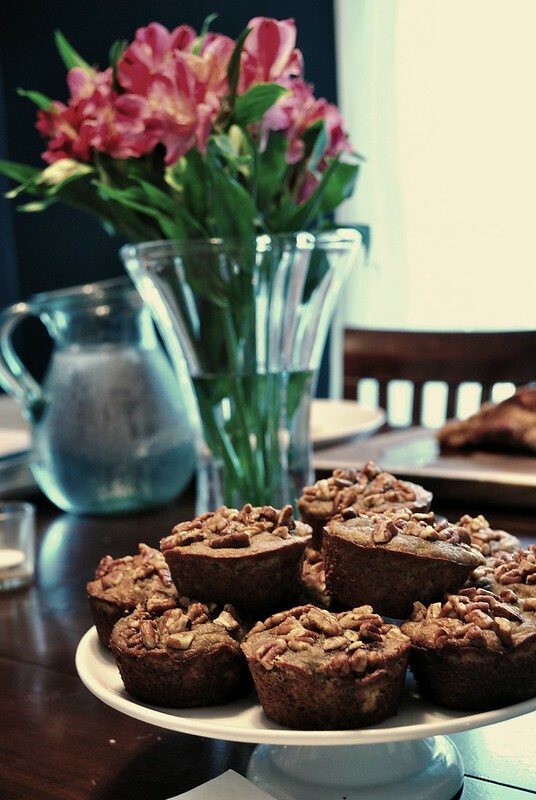 We offered to host Mother's Day brunch and it turned out to be quite lovely. The husband made roasted pork belly with a local cider and thyme glaze (HOLY JESUS amazing), I made a kale, caramelized onion, and swiss frittata, and at the last minute, I decided to whip up some banana muffins since I had a few overripe bananas sitting on my counter, begging to be baked into something. I settled on muffins because nothing screams brunch quite like muffins...and mimosas, obviously. 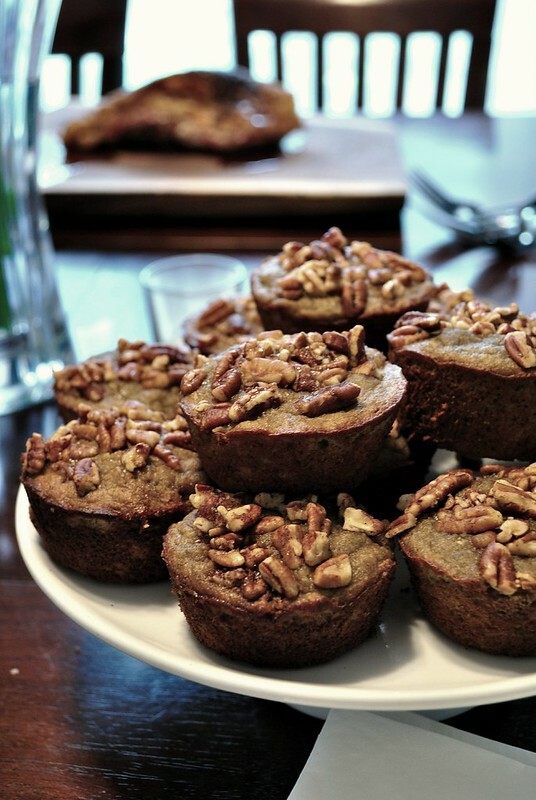 These muffins ended up being a huge hit and they may be my favorite "paleo" muffins that I've made to date. They're moist but not overly wet and dense like some paleo baked goods can be. They're hearty and perfect for a little snack or as an accompaniment to breakfast or brunch. I was going to do a whole little shoot for them but, um, there are none left. Guess that just means I will have to make another batch! P.S. Don't forget to check out the "What's Beautiful?" challenge and join my team!